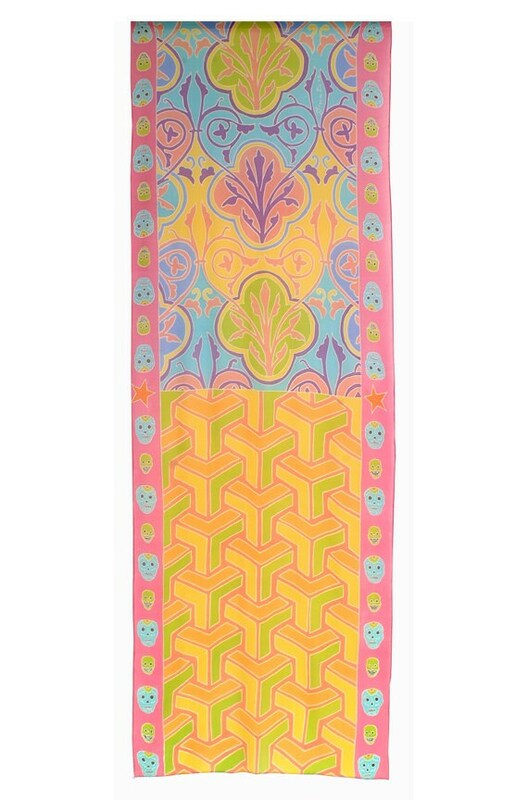 Beautifully hand painted long silk scarf with large illusion pattern, and tile inspired pattern with small skulls on the edges. 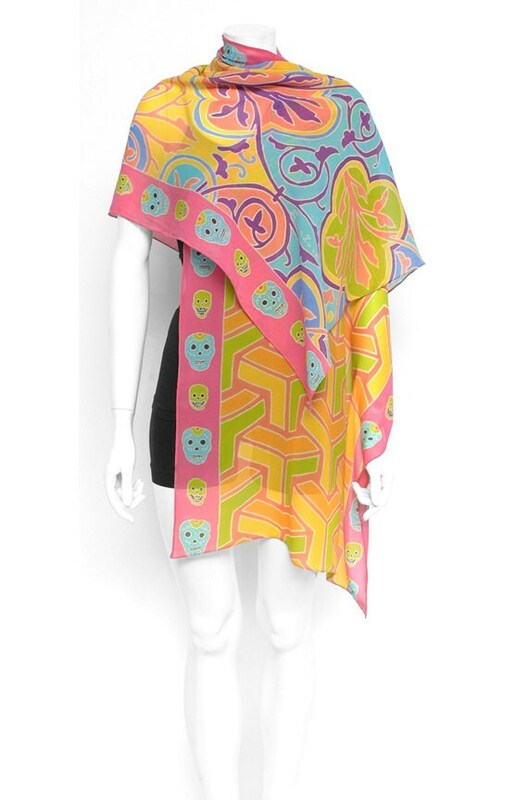 This silk scarf is painted in a pastel color combination of pink, yellow, orange and turquoise. This magnificent hand painted silk shawl for women is handmade and painted on 100% natural chiffon silk fabric. 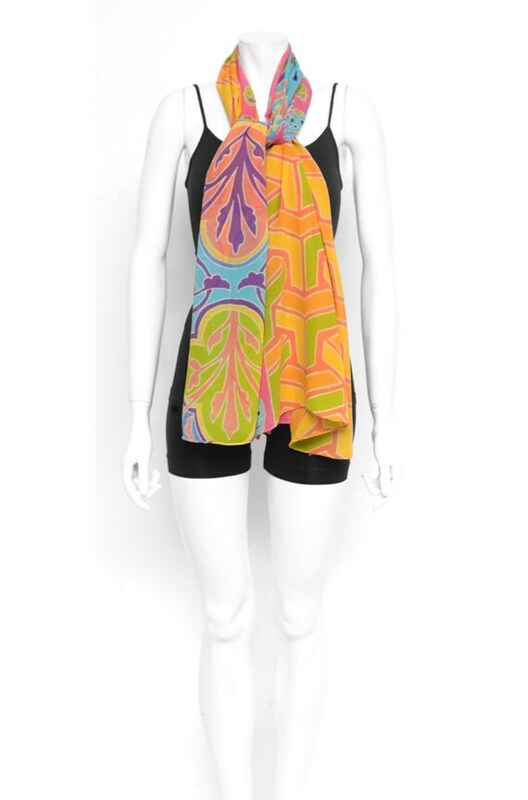 This elegant, soft silk scarf is the perfect gift for any women for a birthday, anniversary, christmas or Mothers day.